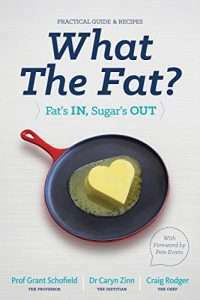 This book is more than just a diet plan or a cookbook – written by the Fat Professor, the Whole-food Dietitian & the Michelin-trained Chef – it’s a new way of eating that will change your life. For good. Low carb healthy fat eating has never been so easy. Welcome to the ultimate practical “how to” and scientific guide.